New. 1999. Annotated edition. Paperback. The discovery of a walled-up cave in northwest China led to the retrieval of a lost early Ch'an (Zen) literature of the T'ang dynasty, one of the recovered texts was the collection "Bodhidharma Anthology". This text provides a detailed study and an annotated translation of the anthology. 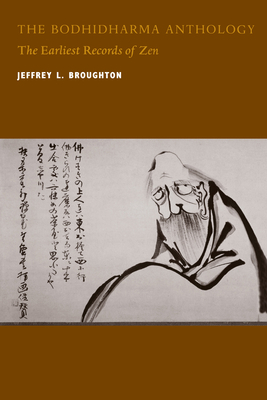 Translator(s): Broughton, Jeffrey L. Num Pages: 198 pages, black & white illustrations. BIC Classification: DSBB; HREZ. Category: (P) Professional & Vocational. Dimension: 228 x 155 x 12. Weight in Grams: 318. The Earliest Records of Zen. 198 pages. The discovery of a walled-up cave in northwest China led to the retrieval of a lost early Ch'an (Zen) literature of the T'ang dynasty, one of the recovered texts was the collection "Bodhidharma Anthology". This text provides a detailed study and an annotated translation of the anthology. Cateogry: (P) Professional & Vocational. BIC Classification: DSBB; HREZ. Dimension: 228 x 155 x 12. Weight: 284. Translator(s): Broughton, Jeffrey L......We ship daily from our Bookshop. New. Trade paperback (US). Glued binding. 198 p. Contains: Illustrations, black & white. New. 0520219724 University of California paperback.